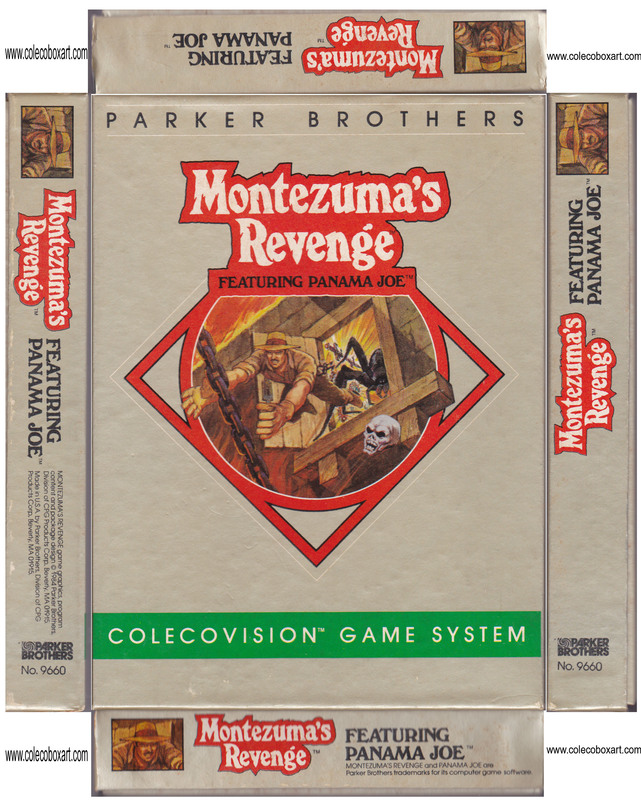 To help PANAMA JOE safely reach Montezuma's fantastic treasure by guiding him through a maze of death-dealing chambers within the emperor's fortress. 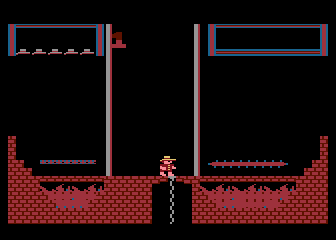 Along the way, PANAMA JOE must avoid an array of deadly creatures while he collects valuables and other tools which can aid him in mastering the evils of the fortress and escaping with the loot! 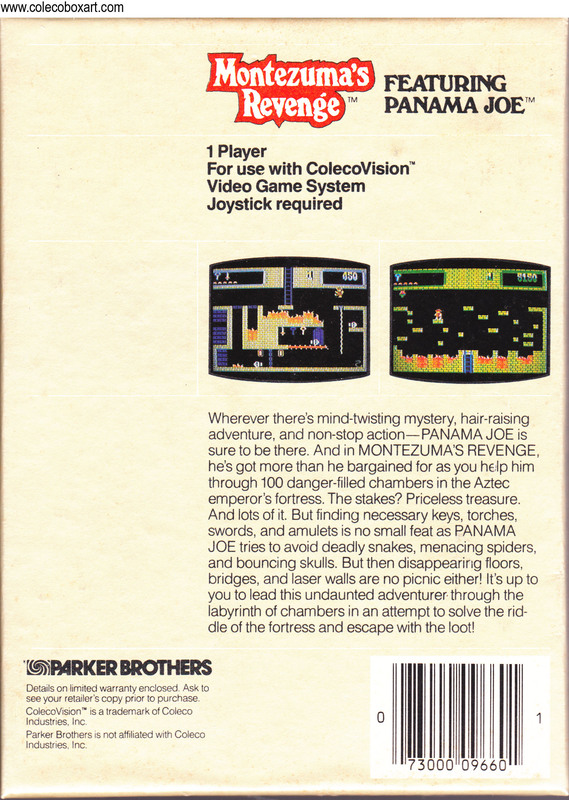 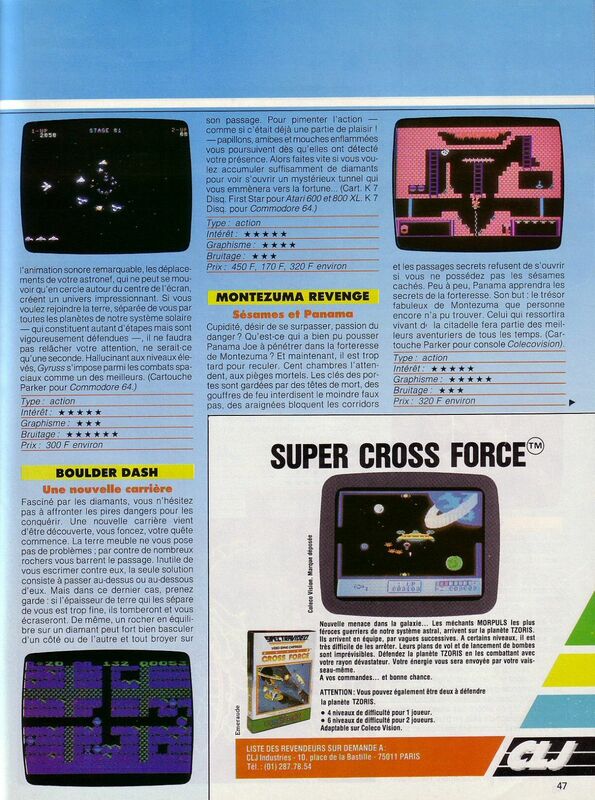 The game was created by Robert Jaeger and published in 1984 by Parker Brothers. 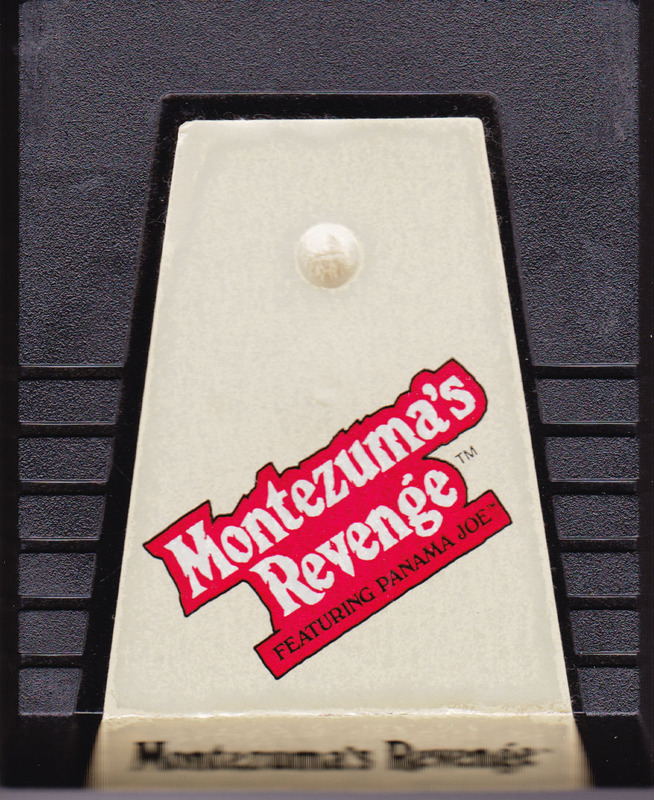 The game's title references a colloquial American English expression for diarrhea contracted while visiting Mexico.